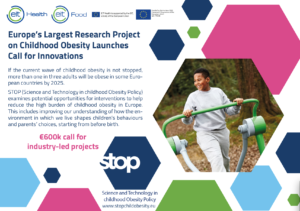 The STOP Consortium, in collaboration with EIT Health and EIT Food, has launched a call for industry-led projects aimed at developing innovations that have the potential to curb childhood obesity in Europe, either by making critical improvements in the food environments faced by children and their families, or by increasing children’s fitness and physical activity. Access to scientific support in a wide range of disciplines potentially available from STOP research partners, including, but not limited to, nutrition and food sciences, biomarkers, behavioural sciences, physical and health education, marketing, statistics and econometrics. Access to the EIT Health and EIT Food accelerator ecosystems, providing the support, skills and services that companies need to get their ideas off the ground and into the market. This includes access to living labs/ test beds, market coaches, and investment advice, where appropriate. 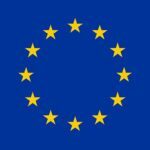 Projects will have a duration of up to 18 months, typically with one year devoted to the development of the innovative solution and the remainder of the time to a lab-based or real-setting pilot evaluation of its effectiveness based on measurable and relevant indicators. Solutions must have the potential to be scaled up and adopted widely. The STOP consortium will evaluate independently the solutions proposed after the projects are completed. Innovations that have the potential to increase availability, access to, and convenience of fresh and natural foods, with limited processing, balanced nutritional contents, and a short supply chain, not only aimed at children but also at pregnant women and women of childbearing age. Innovations may also exploit new knowledge of the role of gut hormones and microbiome in childhood obesity in the design of foods aimed at children. Innovations in the in-store food choice environment including, but not limited to, innovative ways of providing nutrition content information to consumers or product layouts that may incentivise healthier food choices. Innovations may also consist of new forms of non-price promotion specifically aimed at children, parents, pregnant women and women of childbearing age. 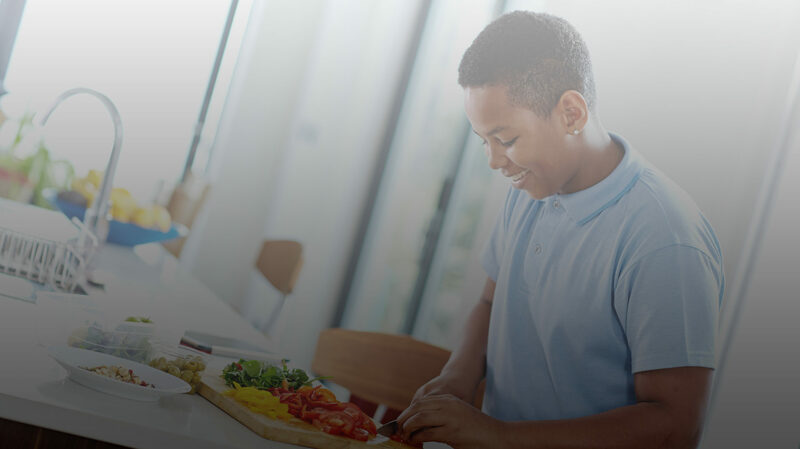 Digital solutions that may help children, parents, pregnant women and women of childbearing age navigate their food environments and make healthier food choices, improve their fitness and increase their physical activity. Digital solutions may deliver those benefits by improving users’ food and health literacy; by delivering relevant, timely and actionable information; by providing commitment devices and other behavioural incentives. Management quality: appropriateness of the management structure and procedures.